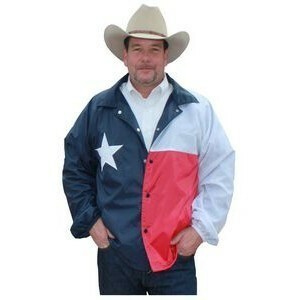 Texas flag Windbreaker jacket (lined). 100% Nylon, snap closure, 2 open pockets in front. Drawstring on bottom plus elastic sleeve. Perfect for cool Texas Day or Night. Sizes XS-4XL.